Consider our selection of White Sage, which represents the Divine Feminine energies, for additional cleansing and clearing. 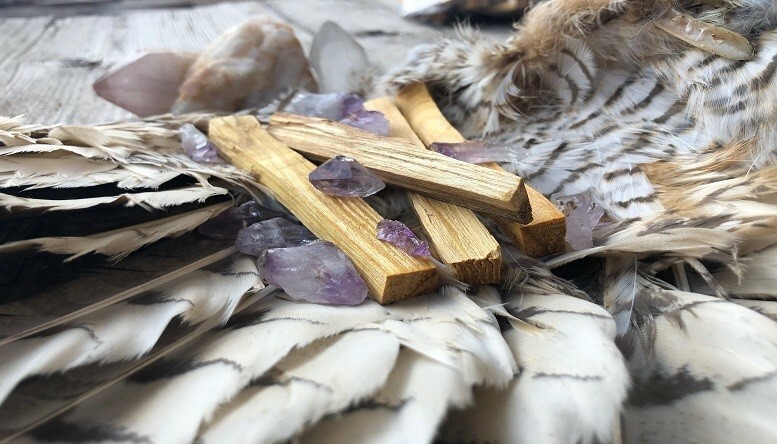 Also our Palo Santo, which represents the Divine Masculine orGaia's Ceremonial Cleansing Kit. A powerful combination for any home.